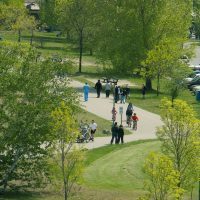 Home to miles and miles of Lake Ontario shorelines and historic harbours, as well as the Grand River watershed, celebrate Canada’s most valuable resource in Hamilton Halton Brant. 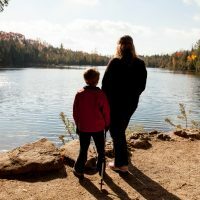 Experience Crawford Lake, a rare meromictic lake, which means its layers of water do not intermix, creating a unique environment that has allowed archaeologists to drill core samples of pollen from hundreds of years ago. 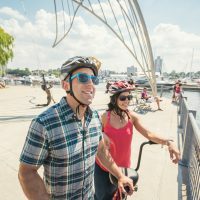 The section of the Waterfront Trail which runs between Burlington and Hamilton is a beautiful stretch of shoreline that offers amazing options for recreational pursuits, including beaches, bike trails, wading pools and great restaurants and cafes that offer perfect patios for dining with a view. Hamilton Waterfront’s Pier 8 is a wonderful place to spend the afternoon. Take a relaxing cruise on the harbour, or try a spin on the outdoor roller-skating rink. There are also great options for a meal or snack. 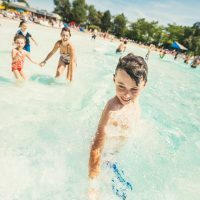 Hamilton’s Confederation Beach Park is a 93-hectare package of fun and adventure located on the shores of Lake Ontario offering family fun like batting cages, go-karts and the Wild Waterworks water park. Fifty Point Conservation Area boasts one of the warmest and cleanest beaches on western Lake Ontario. Catch a big one at the site’s fishing pond, which is stocked with rainbow trout and largemouth bass – no fishing license required! 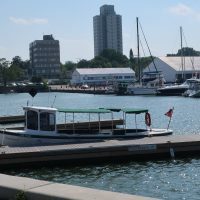 Hamilton Harbour has played an important role in North America’s industrial heritage, and a tour of this landmark offers a fun and relaxing way to learn more about it. Take a 50-minute tour aboard the The Hamiltonian and be treated to unique views of the natural, recreational and industrial faces of Hamilton. 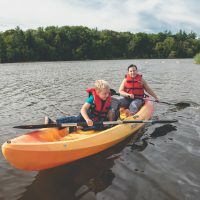 Valens Lake Conservation Area is a 300-hectare paradise for swimmers, fishers, and sunbathers. 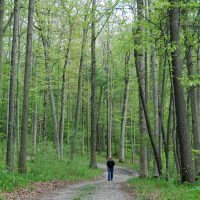 Christie Lake Conservation Area offers a beautiful lakeside setting on the Niagara Escarpment. Rent a rowboat, canoe, kayak or tube and go for a float. Fish in the reservoir for northern pike and largemouth bass. Relax on the 360-metre sandy beach.